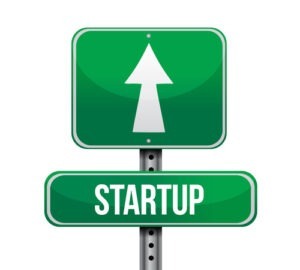 Green startup road sign with arrow pointing up. Photo courtesy of Shutterstock. Why find a job when you can make your own? That’s the mantra for 20-somethings looking to make their way as entrepreneurs – and start a company rather than join one. But where should you go once you leave your college town or your parents’ house? Here are some of the best places around the country to get started on your startup. Best East Coast city: Boston. Beantown has more to offer than just die-hard sports fans. The Cambridge-Framington-Newton area has a lot to offer young professionals – which is no surprise, seeing that so many colleges and universities are based here. The specifics: The first thing you need to start a business? A place to actually start it. The Boston area has a ridiculous amount of co-working spaces like Collaboratory, Greentown Labs and the Cambridge Coworking Center. Boston also offers around 20 accelerator programs to help you get started. You have options for every business niche: healthcare, technology, energy, education and just the basics of starting a startup. Check out this comprehensive list of accelerator resources to see what your options are. One of the coolest things Boston has to offer is Founder Mentors. As a beginner in the startup game, you could use a mentor or two. Founder Mentors is a mentor program that will match you with a successful entrepreneur in Boston – someone with experience that can help you solve problems and get your feet on the ground. Just like Boston, Chicago has harsh weather and die-hard fans. But Chicago has something that Boston doesn’t – the CEC. The specifics: The Chicagoland Entrepreneurial Center is just that – a center for Chicago entrepreneurs to stay connected, grow and develop. If you’re looking to break into the digital world, then CEC’s coworking space 1871 is where you want to be. It offers a collaborative space, mentoring, programming and even potential investors. Everything you need to get a strong start. Other resources include Built in Chicago, a strictly online-based community where you can find all of Chicago’s startups. If you’re looking to get feedback on an idea, check out Technori Pitch, a monthly event where you can pitch an idea to hundreds of peers and get immediate feedback. Best Southwestern city: Austin, Texas. One thing Boston and Chicago have in common? Pretty expensive living costs, which might be tough on your post-grad budget. Austin has a low cost of living and a great environment, fueled by the students at the University of Texas. The Emerging Technology Fund. The group aims to attract, support and invest in technology companies. Austin Ventures. In the past 30 years, Austin Ventures has invested close to $3 billion in the state of Texas. It’s mission? To partner with up-and-coming entrepreneurs to build companies based in the Lone Star State. Austin Startup Week. Five days of focusing on the Austin startup community. Last year, Google Cloud offered all attendees $2,000 of credit to help get their app started. Pretty cool. Best West Coast city: Portland, Oregon. If you’re out West, but not ready to make the jump to Silicon Valley – no sweat. Portland is a quirky, fun, vibrant city that’s ready and waiting for entrepreneurs. The specifics: Portland Startup Weekend is the perfect opportunity to learn about what it means to be an entrepreneur (great for someone just starting out), and network with tons of people already in the startup community. What makes Portland cool is that big tech companies, like Intel, have outposts there. That means that there’s a lot to learn from – and a lot of investment money coming into the area. Not to mention that startups in Oregon raised $86.1 million in the first half of 2013 alone – the most impressive showing since before the recession hit in 2007. What do all these cities have in common? They’re trying to attract the brightest, sharpest minds around. You have your pick of where to start your company. So, where will you go next? Rose Haywood is a freelance marketing consultant, social media junkie, copywriter and designer for www.centurylinkbundles.com. She hails proudly from Asheville, NC but resides for the time being right outside of Atlanta, GA.